People walk past the headquarters of the Central Bank in Moscow. 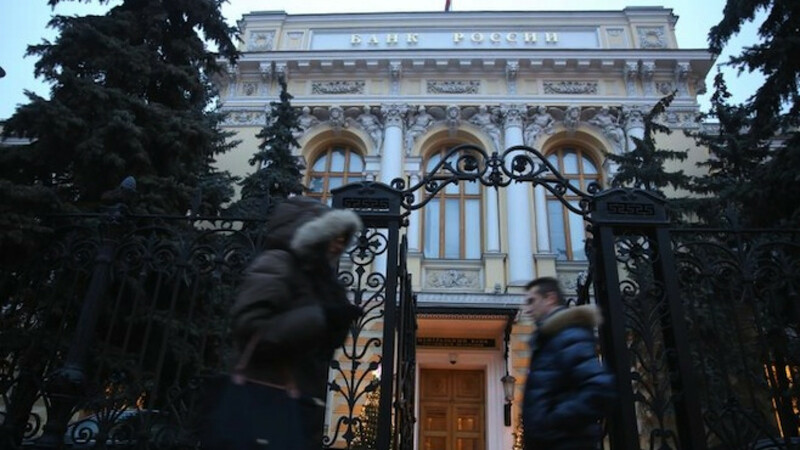 Russia's Central Bank cut its main lending rate by one-and-a-half percentage points on Thursday, its third rate cut this year, a sign that it believes the worst of an economic crisis is over. The cut to 12.5 percent follows the ruble's recovery in recent weeks after a dramatic decline last year as global oil prices fell and Western economic sanctions over Moscow's role in the Ukraine conflict bit. The cut was larger than the single point predicted by a majority of analysts, although markets had been pricing in the possibility of a bigger reduction. In resisting a larger cut, the bank showed it remains worried about inflation and financial stability, especially with sanctions still in place and a truce in eastern Ukraine between pro-Russian separatists and government forces looking shaky. "This looks like a compromise decision," said Christopher Granville, managing director at Trusted Sources consultancy in London, after the bank cut its one-week minimum auction repo rate from 14 percent. "The rate cut fell short of those on the radical end of the spectrum while reflecting the bank's commitment to moving steadily and sequentially to bring down its key rate." The Central Bank said inflation expectations remained high but that it would be ready to make further rate cuts if inflation slows from its current 16.5 percent as expected. The ruble briefly pared losses after the Central Bank announcement before drifting back down. "The ruble was pricing in a bigger reduction — in the region of 200 basis points," VTB Capital analyst Maxim Korovin said. "But for now inflation and inflationary expectations remain quite high and this probably restrained [the Central Bank]." 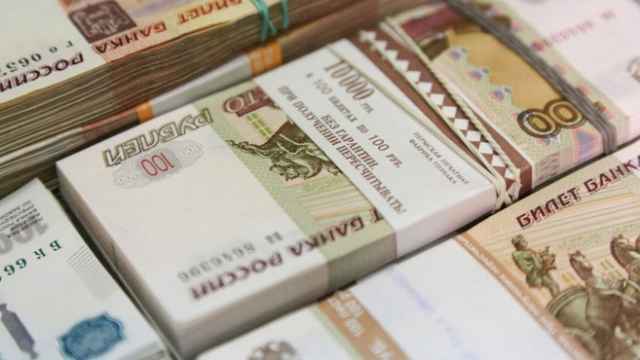 The Central Bank raised its main lending rate by a total of 11.5 points last year, including a dramatic hike in December to 17 percent from 10.5 percent, to try to halt the ruble's decline. The Russian currency fell by about 40 percent last year, at one point touching an all-time low of 80 per dollar. But the ruble is now back at around 51.5 to the dollar, and President Vladimir Putin told the nation this month that he expects the economy to return to growth in two years or less. Finance Minister Anton Siluanov has declared the worst of the crisis over, largely thanks to a partial recovery in oil prices and an easing of fighting following a truce in east Ukraine. Western leaders hoping the sanctions might fuel opposition to Putin have been disappointed. There has also been a revival of portfolio investment inflows and many major Western companies have shown confidence in Russia by staying put. 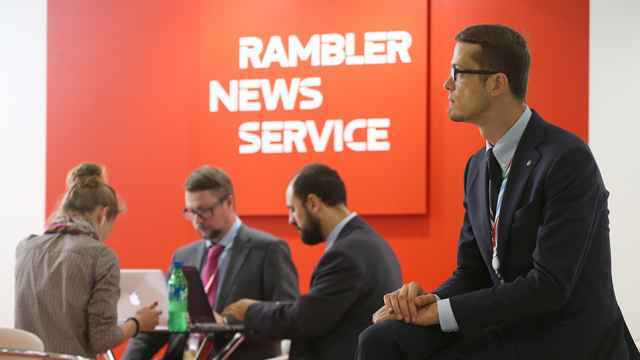 Analysts caution, however, that the ruble and economy remain vulnerable to fresh upsets. "There is an inescapable fear that these rate cuts will have to be undone. 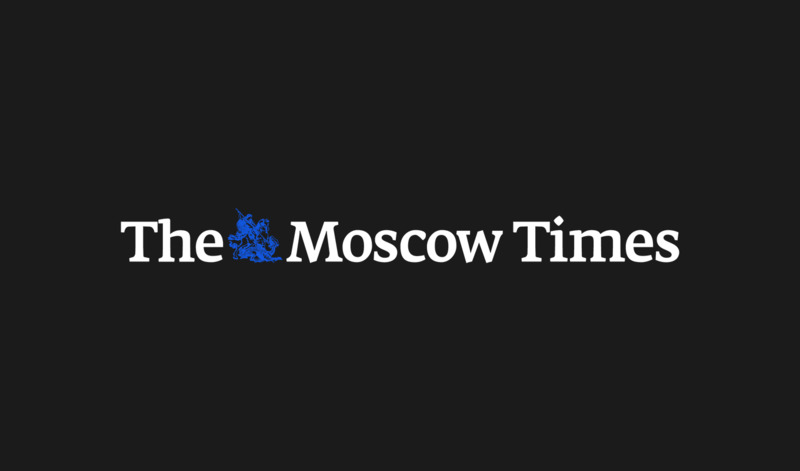 Neither the ruble nor the Russian economy are out of the woods yet," said Nicholas Spiro, managing director at Spiro Sovereign Strategy in London. International oil benchmark Brent was trading at $66 per barrel on Thursday, close to its 2015 highs, but some analysts warn that the oil price could fall back towards $50 per barrel as the market remains oversupplied. "The oil price is perhaps the greatest risk for Russia, since a further bout of price weakness is a serious possibility in the next six to 12 months," Trusted Sources' Granville said. The situation in eastern Ukraine remains fragile, with both sides accusing the other of violating the peace deal reached on Feb. 12, and there are widespread fears of renewed fighting. Macro-advisory analyst Chris Weafer warned in a recent report that Russia's financial situation was "far from safe." "The key risk remains a resumption of heavy fighting in eastern Ukraine," he warned. "The oil price has also performed better than had been expected. But the rally is based on expectations of supply reductions which, so far, have not happened." In cutting rates, the Central Bank is partly responding to signs that inflation, which hit a 13-year high of 16.9 percent in March, has peaked. It said in a statement said inflation was running at 16.5 percent as of April 27 and that it expected inflation to fall to below 8 percent in 12 months' time and to 4 percent in 2017. The bank said economic output would contract in 2015 but attributed this largely to cyclical factors. Nevertheless, the bank cannot ignore sharp declines in economic activity, which may make further reductions in interest rates necessary to stimulate lending. Gross domestic product fell by 3.4 percent year-on-year in March, with economists polled by Reuters expecting a 4.1 percent contraction this year. "As inflation risks abate further, the Bank of Russia will be ready to continue cutting the key rate," the bank said.